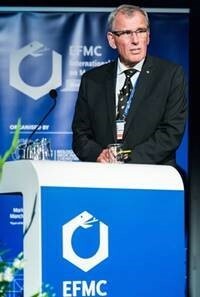 EFMC represents a research community that plays an important role in society. By providing tools to better understand the biology of human diseases and developing new drugs, chemical biologists and medicinal chemists can address issues that represent a huge burden to patients, families and social welfare. In particular, there is an enormous need for improved treatments of neurodegenerative diseases, such as Parkinson’s disease. By participating in such activities, EFMC both supports the cause of patients and helps increase awareness of the need for research funding, and for policies facilitating the task of our scientific community to address these complex issues. Please take advantage of this event to share our efforts within our network, and let people know that EFMC really cares. Building a strong network at the very early stage in your career is crucial. Therefore, EFMC decided to create a new network for young scientists: the EFMC-Young Scientists Network. Shaping itself it into a usefull tool, custom-made to your needs and managed by young scientists, for young scientists. Join the EFMC-YSN now and get access to the content as it becomes available in the following weeks/months. 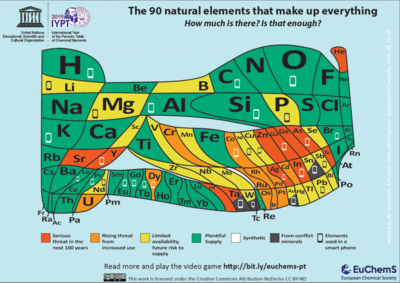 EFMC is supporting the new EuChemS Periodic Table, depicting the issue of element scarcity on the occasion of the upcoming International Year of the Periodic Table of Chemical Elements 2019 (IYPT2019). The EFMC shares their hope that this image will lead to reflection, and ultimately action, that it will raise awareness of the threat this poses and also hope to see it have an impact on policy, education and on individual actions. The Periodic Table has a lot of potential, and could be disseminated in an effective way by providing schools, universities and wider networks with it, whether in hard copies or electronically. Please feel free to also use it to print onto various merchandise items, such as T-shirts, bags, …. The Periodic Table is now freely downloadable in high resolution on EuChemS’ website. The work is licensed under the Creative Commons Attribution NoDerivs CC BY-ND. Support notes, which explain in more detail how the Periodic Table has been designed, and which also include some questions for students, will soon be available for download on our website. Versions in other languages are to be developed. We strongly encourage you to share it as widely as possible (website, social media, …).